There are a million different ways to see the world and what you see depends totally on your perspective. The GoPro line of camera is remarkably good at capturing the world from a variety of angles letting us share not only the world from our POV but also a variety of animals. If you ever wondered what sort of movie your dog would make, the Adjustable Dog Fetch Harness Mount for GoPro Hero will let you know. This is a dog harness that straps under the dog. You mount the camera to the dogs back. This allows you to take video from the dog’s point of view. Or more accurately, as if you’re riding the dog and honestly, who hasn’t wanted a dog big enough to ride? Now you’ll be able to see what that’s like. It comes in three colors, black, red, and blue and can be adjusted to fit small to large dogs. It’s one size fits (10-120 lbs.) most but if you have a very small dog or very large dog then you’ll need to measure first. 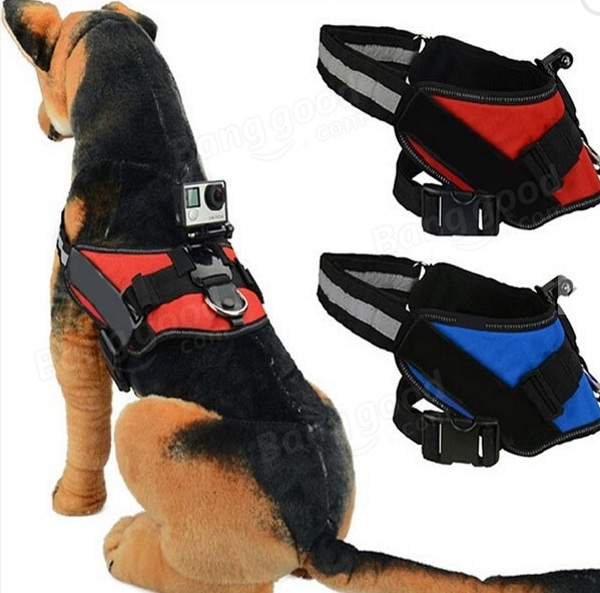 The Adjustable Dog Fetch Harness Mount for GoPro is $13.18.